Suddenly, I feel like painting a toaster. 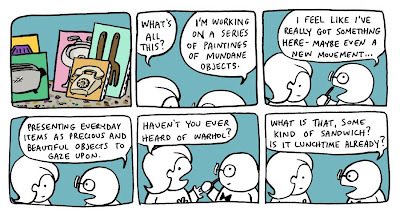 I mean, a painting of a toaster, not just painting a coat on an existing toaster. Here's the website of one of my old professors; he likes to sculpt very fancy toasters.